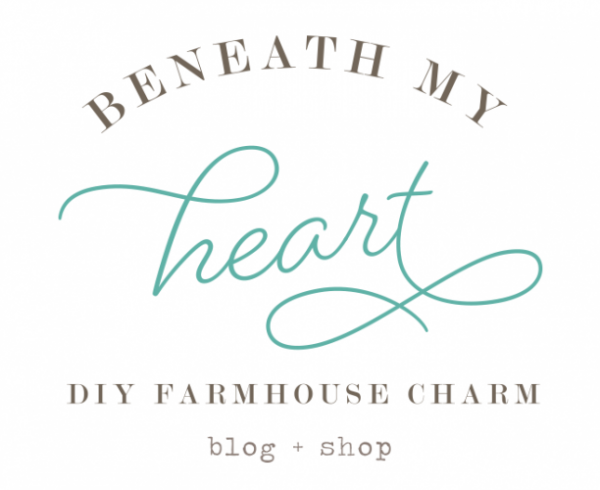 Today I wanted to share with you Three DIY Bathroom Vanity Projects that we have completed in our current home. Creating your own unique bathroom vanity adds instant character and charm to your home and sets it apart from the rest. The first vanity that I want to share with you is the one we built in our guest bathroom in January of 2013. 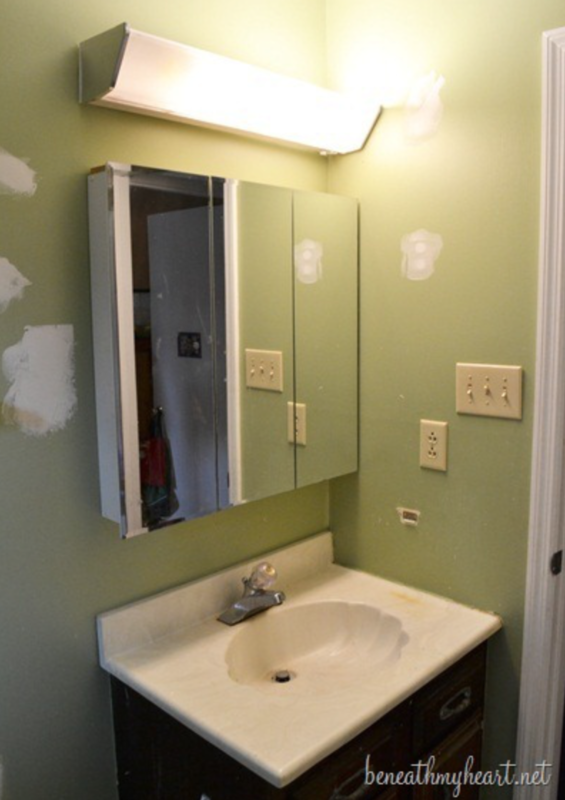 We wanted to get rid of the dark wood builder’s grade vanity that came with our house. 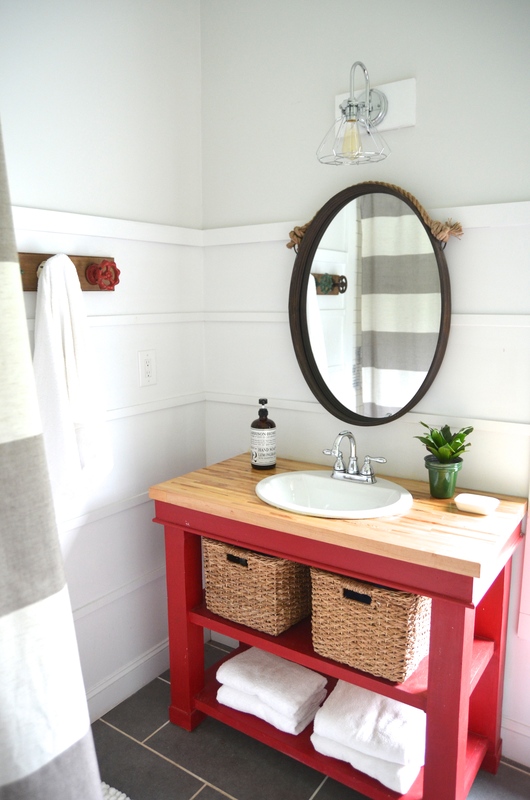 We had some butcher block leftover from our kitchen renovation that we used for this bathroom vanity. Cy cut down some newel posts for the legs of the vanity, and we added a shelf on the bottom for a basket. You can see the complete tutorial by clicking on the link below. 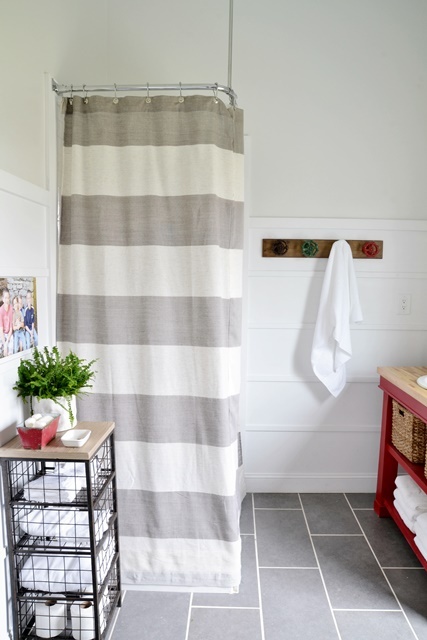 You can see the FULL GUEST BATHROOM MAKEOVER REVEAL HERE. 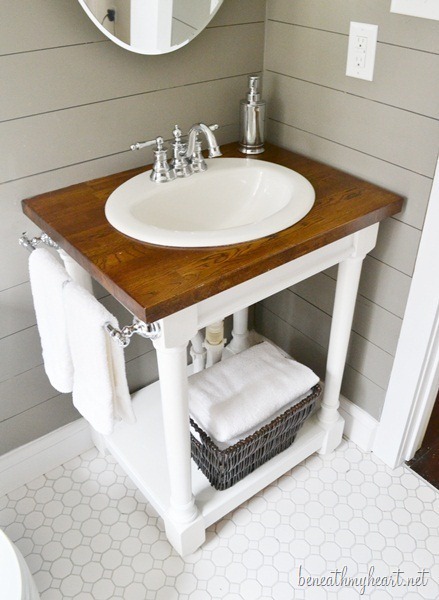 Next up is the DIY bathroom vanity project in our master bathroom that we completed in 2012! We found this antique dresser at a thrift store and turned it into a vanity. Cy cut a hole in the top of the dresser for the sink. The last DIY bathroom vanity project that I wanted to share is in our boys’ bathroom upstairs! 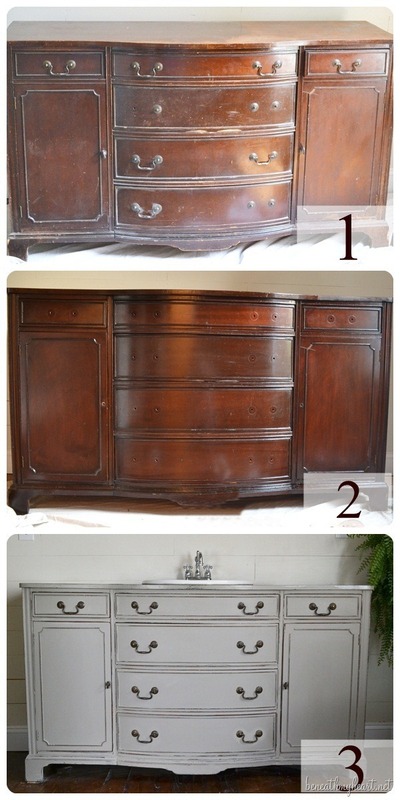 I absolutely LOVE these vanities! Sometimes Cy works so quickly, that I don’t have my camera ready in time to snap pics, but I love everything about this space. We did a horizontal wall treatment on the walls and large gray rectangle tiles on the floor. 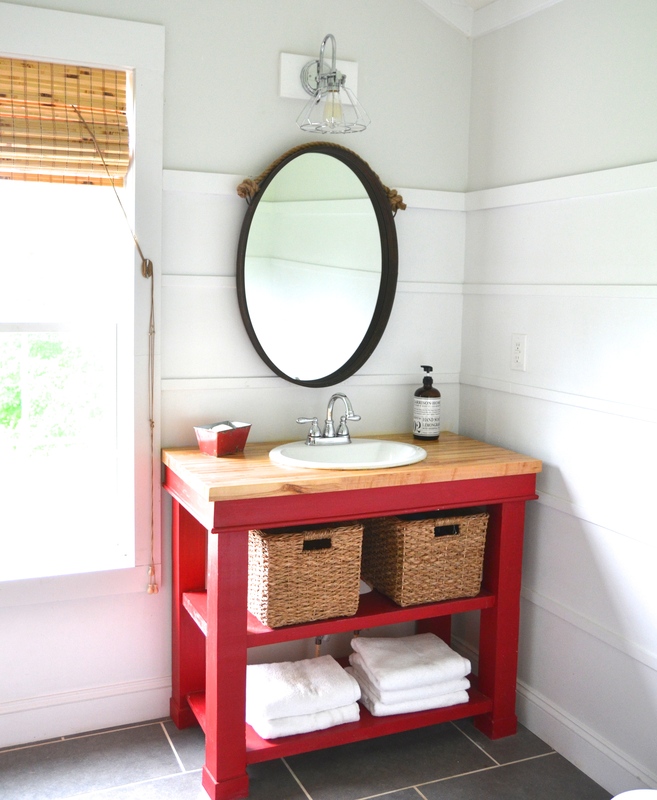 My favorite part of the bathroom, though, are the bright red vanities that Cy built from scratch. Again, we used butcher block for the top of the vanity, but this time, we got it from Lumber Liquidators, and we left the color natural instead of staining it. We just sealed the butcher block with a polyurethane to protect it. 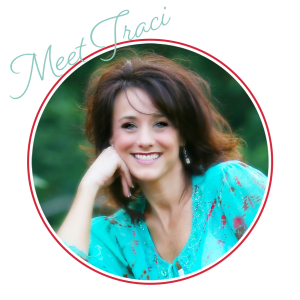 Well, I had fun looking back on these old projects, and I hope they gave you some inspiration on how you can add character and charm to your own home by DIY’ing your own bathroom vanity! 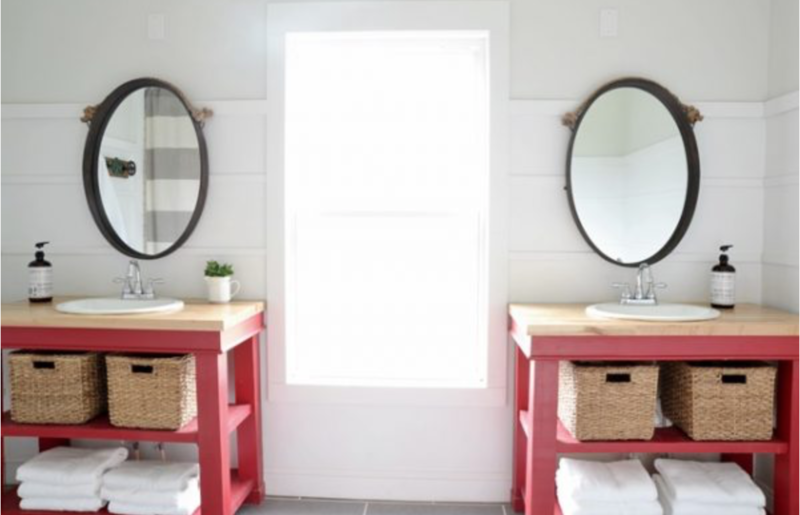 Have you DIY’d your own bathroom vanity? If not, which bathroom in your home would you like to give it a try?